L.I: to summarise the main idea from the text. This week for reading we read the text High Flyers. 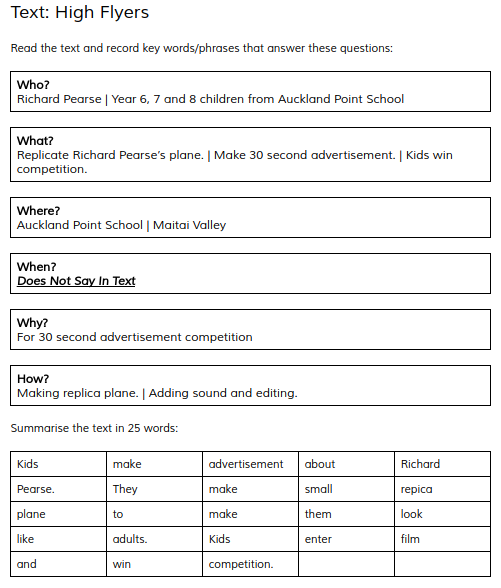 It was about the year 6, 7 and 8's from Auckland Point School and they made an advertisement about Richard Pearse for a competition. We had to do the 5 W's and the H and make a 25 word or under summery about the text.